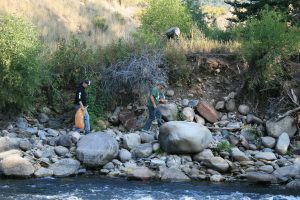 September 25, 2017 – Avon, CO — Every September for 23 years, residents of the Vail Valley have taken part in an important community event that earns few accolades but is vitally important to maintaining the health of the fragile mountain ecosystem that we all enjoy. The Eagle River Cleanup is a way for the community to come together and make sure that everyone and everything that enjoys and uses the river – humans, birds, fish and other wildlife – will have it for generations to come. 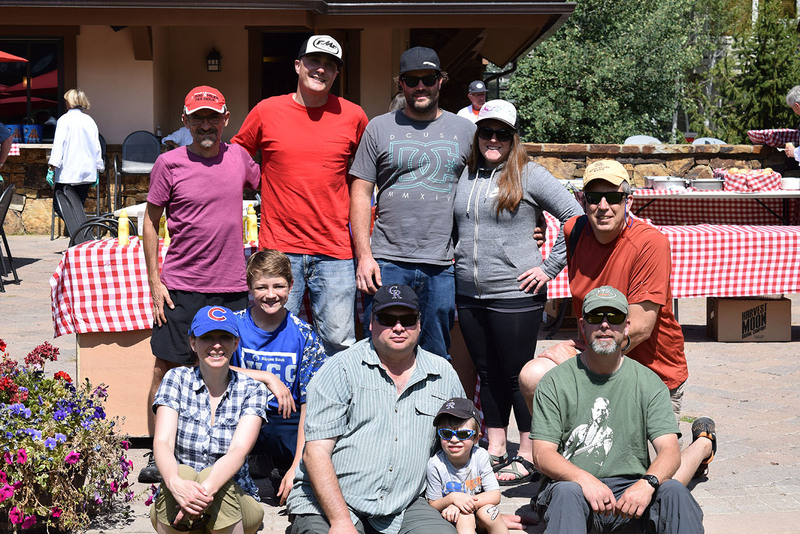 The men and women of Encore Electric and their families are happy to have contributed money, time and effort to this year’s Eagle River Cleanup. Participants from Encore included Cesar Lopez, Jake Bond, Sean Hunter, Chelsea Hunter, Pete Palmgren, Liz Bankert, PJ Palmgren, Eric Bankert, Dylan Bankert and RJ Vik (pictured at right). As part of the Actively Green program, Encore has committed to the sustainability of the Eagle Valley and surrounding mountain environment. Events like the river cleanup give Encore an opportunity to go out into our community and physically help in this effort. 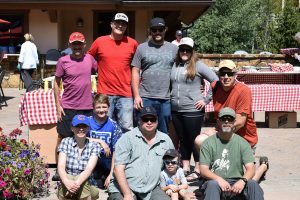 Encore also contributed to the effort by being a “Rainbow Trout”-level sponsor of the event that also included a thank you barbecue for the volunteers at Broken Arrow in Arrowhead. Around 300 people in volunteered at the event, which collect more than two tons of trash from along and inside the river. Thank you to the volunteers who participated in this event to help keep the community where we live and work strong! If you know of Encore employees doing good work in their community, please share your photos and experiences with Meg VanderLaan and Kevin Villegas in marketing. Remember to friend, follow and connect with Encore Electric on Twitter, Facebook and LinkedIn.